EVERY coin that he is left as a tip brings Daouda Boubacar a step closer to Europe. The 22-year-old, a waiter in a busy café on the outskirts of Bamako, the capital of Mali, is saving for a journey that will take him by bus to Gao in the north. From there he hopes to travel by lorry across the Sahara to Algeria and then Libya. That will open up the uncertain prospect of crossing the Mediterranean by boat in order to find a better paying job on the other side. He has saved $1,500 so far; he thinks he will need more than that. In Egypt Fares Albashawat also dreams of a passage to Europe. After being shot a number of times by forces loyal to Bashar Assad, the president, he fled his native Syria for Lebanon. When word came that militants from Hizbullah were looking for him the family upped sticks again, making it to Egypt in July 2013, a week before the government stopped admitting most Syrian refugees. Mr Albashawat, still suffering from his wounds, could travel no farther, and has been seeking resettlement through the UN High Commissioner for Refugees. Around the beginning of April his wife, TIRED of the wait, chose to leave Alexandria and continue to Europe with their daughters. 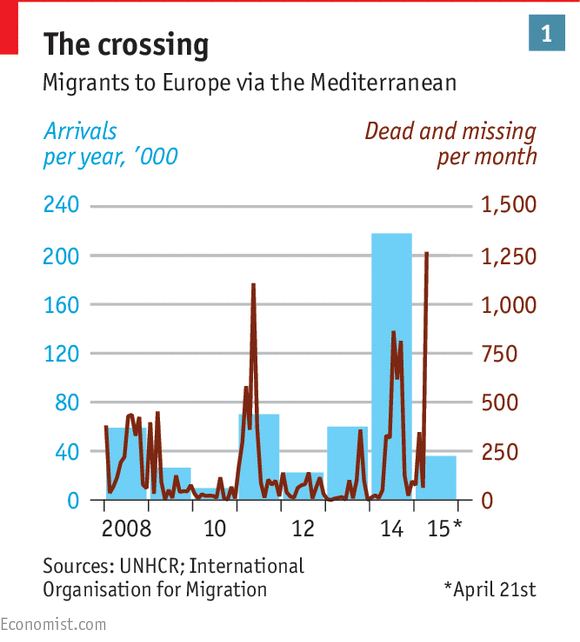 The smuggling of people across the Mediterranean is not new; nor are the losses at sea that come with it. In 1996 at least 283 people died on an illegal voyage from Alexandria to Italy. But the TRADE has vastly expanded over the past few years thanks to two developments. The civil war in Syria has driven what the International Organisation for Migration (IOM) calls “the biggest movement of people since world war two”, with 8m people displaced inside the country and 4m leaving it. Most of these refugees stay in neighbouring countries. But many wish to go farther. In Turkey, which can be reached by ferry from Lebanon, they can join the flow of migrants from South Asia and Afghanistan, eventually entering Greece by boat. Alternatively they can head for Libya, either through Egypt or by flying to Sudan and joining one of the smuggling routes that cross the Sahara. There they will meet refugees fleeing Eritrea, a country which, with its mixture of indefinite military service, torture, arbitrary detention and all-round repression has one of the worst human-rights records in the world. 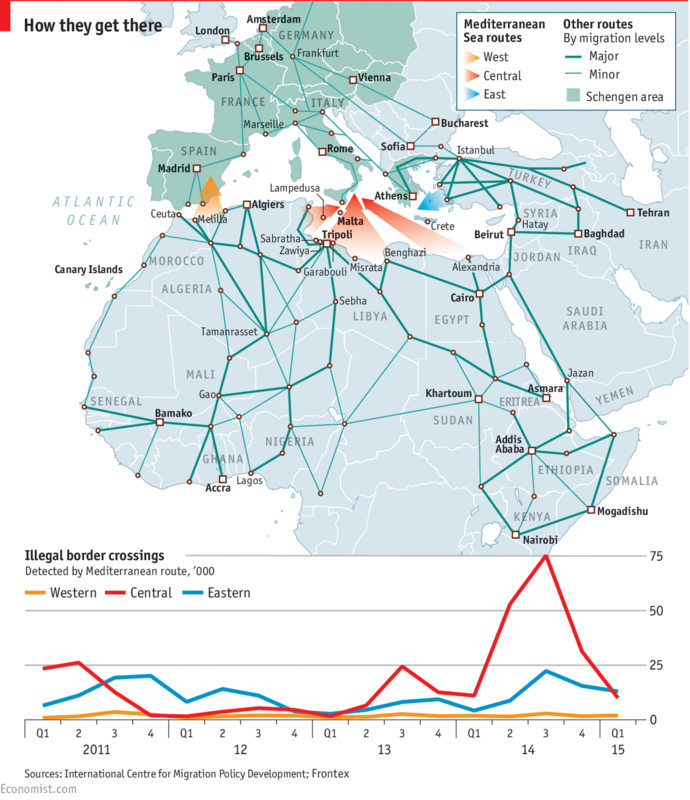 The routes head for Libya because another post-Arab-spring civil war has made it a much easier way to get to Europe. The smuggling routes which used to take people to Libya as an end in itself—moving there was for a time an attractive proposition for many in sub-Saharan Africa—now continue right through it and into the sea. These two developments explain why the UN’s tally of migrants crossing the Mediterranean in 2014 was, at 219,000, nearly four times larger than the figure for the year before (see chart 1). Economic migrants like Mr Boubacar and refugees like Mr Albashawat can now frequently find themselves heading to sea together (though in all likelihood a wealthier Syrian like Mr Albashawat would be above decks and Mr Boubacar below). But these developments do not, of themselves, explain why such people so often now end up dying together. The Italian government says 23,556 people had entered Italy irregularly by sea by April 19th this year, compared to 20,800 during the same period in 2014; the total number making the crossing, given the season, thus seems not to have risen year-on-year. But the number of migrants who have died has shot up. 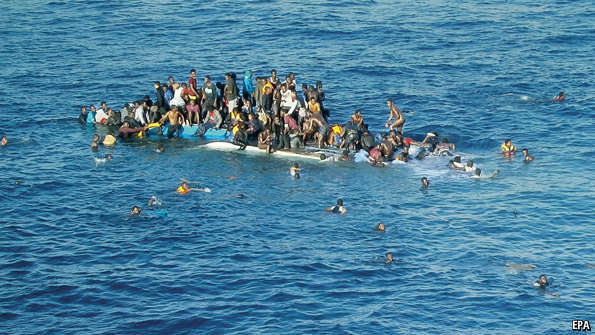 Even before the tragedy of April 19th, when a boat sank about 50 nautical miles (100km) off the Libyan coast, killing hundreds, this year’s tally of lives lost stood at 954, compared with just 96 to the end of April last year. Exactly how many more died on April 19th is hard to say. The smugglers’ boat was in the process of being rescued by a Portuguese freighter when the two collided. One survivor has said 700 people were on board, another 950; other accounts put the number at around 400. What is known for sure is that the vessels which answered the distress call from the Portuguese ship were, between them, unable to find more than 28 survivors. “We stayed there for hours and hours, but all we found were jackets, rucksacks, caps and a big oil slick,” Vincenzo Bonomi, the skipper of a fishing boat told Il Fatto Quotidiano, an Italian newspaper. Just 24 bodies were recovered. Shock at the scale of the loss led to an emergency summit of European Union heads of government that was taking place on April 23rd as The Economist went to press. The obvious reason for the recent increase in deaths is that less is being done to avert them. In October 2013, after 366 migrants lost their lives off Lampedusa in another disaster, the Italian government launched an ambitious search-and-rescue operation, Mare Nostrum. It made use of an amphibious warship and two frigates, and had five naval vessels on patrol at all times as well as support from the coast guard. The navy claims the operation led to the rescue of more than 150,000 people and the arrest of 330 smugglers. But a year after Mare Nostrum’s launch by the government of Enrico Letta it was shut down by Angelino Alfano, interior minister in Matteo Renzi’s new left-right coalition. Mr Alfano, who leads the New Centre Right, a conservative party, was in an uncomfortable position given the outright rejection of Mare Nostrum by the other parties of the Italian right. They complained that it had the effect of making the navy part of the smugglers’ business plan. The smugglers did not need to get their cargoes to shore, merely to abandon them where the ships of Mare Nostrum would pick them up. The programme’s critics in Italy and elsewhere in the EU went on to argue that although it seemed to save people, by encouraging people to risk their lives it actually led to more deaths. As the British government put it, there was “an unintended ‘pull factor’, encouraging more migrants to attempt the dangerous sea crossing and thereby leading to more tragic and unnecessary deaths”. When Mr Alfano, frustrated by the lack of support from the rest of the EU, closed down Mare Nostrum in October 2014 it was replaced with Operation Triton, run by Frontex, the EU’s border-control agency. Triton has fewer resources, less than a third of the budget and a narrower remit. Though its coastguard vessels have taken part in many rescues, they do not actively search for boats in distress more than 30 nautical miles from the Italian coast. The unchanged numbers of migrants reaching Italy strongly suggest that making the crossing more dangerous has not reduced the pull factor at all. It is hard to say for sure that Mare Nostrum would have made a difference on April 19th; the smugglers’ boat might have sunk during the rescue even had the Italian navy been there. But the overall figures argue strongly that, by making the passage more risky, the move from Mare Nostrum to Triton has cost many innocent lives. “I just hope this latest mass killing will shake the consciences of the international community,” Italy’s coastguard commander, Vice-Admiral Felicio Angrisano, said on April 20th. It will, though, be very hard to change. The countries of the EU all have their own asylum systems; there is no mechanism for sharing refugees across the union. Under the so-called Dublin regulation it is the responsibility of the first European country that any asylum-seeker arrives in to have him fingerprinted and hear his application; if he is granted asylum, his right to remain applies only to that country. Italy and other southern European countries argue that this places a disproportionate burden on them. Other countries retort that Italy often skirts that burden by neglecting to fingerprint applicants and letting them go where they will—which in practice means anywhere in the borderless Schengen area. Economic migrants know that, if at all possible, they should avoid getting fingerprinted and head north. Very few failed applicants for asylum get deported from Italy; a lot of economic migrants get in and move on, say other European countries. So item five in the ministers’ ten-point plan demands a renewal of the commitment to fingerprinting of all migrants. The European Asylum Support Office will deploy teams to Italy and Greece to help them with the painstaking task of processing asylum applications. There will also be a “new return programme” to speed up the repatriation of boat people deemed to be illegal immigrants. 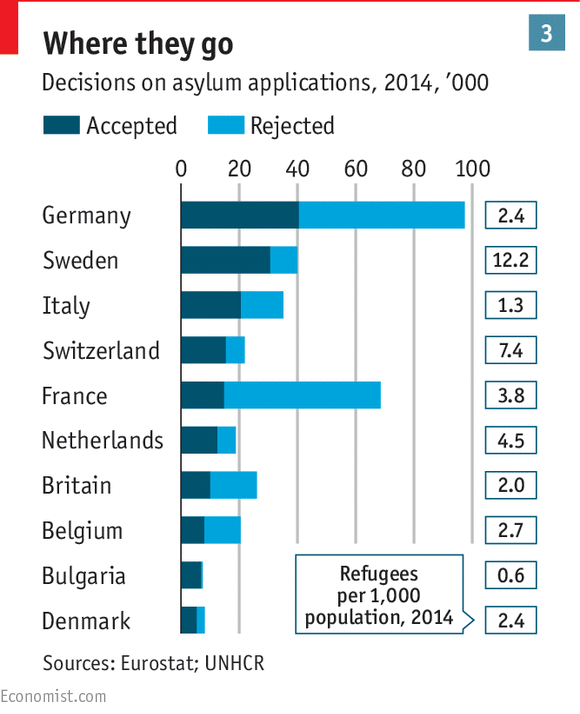 Speeding things up is popular when it comes to refugees and asylum. In France Manuel Valls, the prime minister, has promised to slash the time it takes to resolve asylum applications. Germany’s interior minister, Thomas de Maizière, has argued for something similar. Both like the fact that rapid decisions can be pitched to the political left as helping refugees gain certainty, and to the right as helping deport those who do not deserve to stay. Taking into account the views of the anti-immigration right is seen as vital by most European governments. That is why item six in the plan, which says that the EU will “consider options for an emergency relocation mechanism”—that is, a means of more fairly sharing refugees around Europe—is likely to be most contentious. The anti-immigration right wants to portray boat people as being for the most part illegal economic migrants, but a great many of them are not. Half of last year’s arrivals in Italy were from Syria and Eritrea (see chart 2) and, on an EU-wide basis, applicants from those countries got first-instance refugee status two-thirds of the time in the last quarter of 2014. 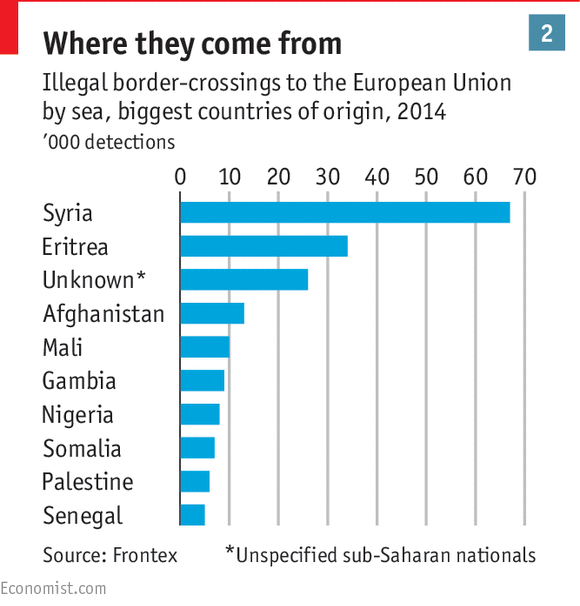 A fair deal would need to parcel out tens or hundreds of thousands of Syrian and Eritrean refugees across the EU, and that will be hard to sell; some EU countries are a lot more welcoming than others (see chart 3). That is why the EU’s focus is likely to be on dealing with what it wants to portray as the source of the problem—that is, not with its own arrangements and dysfunctional politics, but with the channels by which people get to its shores in the first place. Co-operation with willing neighbours can produce results. And willing neighbours do not need to be nice ones. Italy used to do deals with Libya’s Colonel Muammar Qaddafi to shut off migration routes for a time, though he would periodically threaten to renege and send as many migrants as possible. These days, though, the writ of the internationally recognised government does not run over the ports where the migrants embark—Zawiya, Sabratha, Garabouli and Misrata. Officials from the rival administration in Tripoli, which is closer to those towns, OFFER the help they might provide as a reason to give their faction recognition. “We know how much the Europeans worry about this,” says one. “If they don’t help us, we all suffer.” But Europe is not eager to recognise a motley bunch of militias, some of whom are Islamists. There might still be unilateral options. The ten-point plan talks of sharing intelligence about people-smuggling networks, and in its promise to make “a systematic effort to capture and destroy vessels used by the smugglers” it even hints at military action. There is an allusion to an anti-piracy campaign, known as Operation Atalanta, in which EU helicopters strafed the boats and fuel dumps of Somali pirates. The prospect of EU countries taking such action in Libya, though, seems remote; they have not recently been much given to such poking at hornets’ nests. If they were to do so there would be a risk that, like making the sea crossings more dangerous, such actions could end up hurting the people trying to migrate as much as, or more than, the people profiting from their migration. Part of the recent rise in the death toll may be due to the fact that the smugglers are already running short of boats and forcing ever more people onto the ones that remain. Twice this year, armed smugglers have taken back their vessels after a rescue operation—a sign that boats are becoming more valuable. 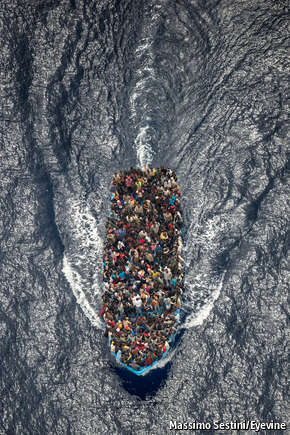 As boats get scarcer, ever more people are forced onto each of them, often at gunpoint. Flavio Di Giacomo of the IOM says one recent arrival showed him scars on his arms and legs where he had been slashed with a knife to force him onto the boat. This is not the first brutality they will have faced on their journey. Some migrants are forced to work until they EARN the smuggler’s fee, which invariably rises. Others are imprisoned in half-built houses or held in the desert until their families back home agree to pay ransoms. Just as ancient forms of networking co-ordinate smuggling trails across different countries, so modern networking allows a Libyan smuggler to get a Sudanese counterpart to collect payments from a migrant’s family in Khartoum. Many migrants are tortured, sometimes while on the phone with relatives for greater effect. Women face the additional risk of sexual violence. 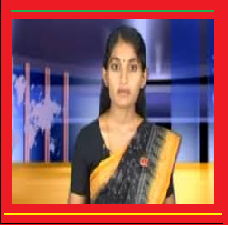 The smuggling networks are highly lucrative. An Eritrean’s passage to Libya may cost $6,000, though a Malian might only pay a tenth of that. 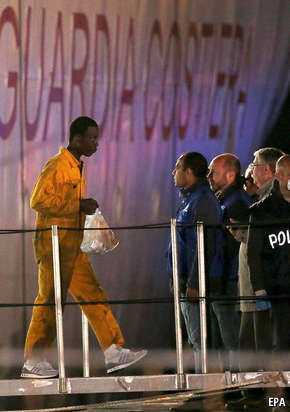 The UN says shipping migrants towards Europe from Libya is a $170m industry. The smugglers combine criminality and tribal loyalty and are very adaptable to changes in circumstance. So although better-shared intelligence on the part of the EU and local states may get some results, it is highly unlikely to shut the TRADE down. Control of Libya’s ports could do more, though it would leave the problem of more than 500,000 would-be migrants stuck in a country that does not want them and with no way back home. And if the situation in Libya were tightened up, new routes would emerge. Not that long ago the main route for Africa’s economic migrants was across the Atlantic to Spain’s Canary islands; at other times the boat people set out mainly across the Aegean Sea to Greece. When the regime of Zine el-Abidine Ben Ali collapsed in 2011 migrants set forth en masse from Tunisia. Thus the EU is also looking at the possibility of processing claims to refugee status outside the EU—either in north Africa or in the countries Syrians first enter on leaving their own. There is talk of an EU “pilot project” to resettle about 5,000 Mediterranean refugees. It would require a process for selecting beneficiaries and for choosing where in the EU to send them on the basis of some sort of “distribution key” based on size of population, economic strength, unemployment rates and the number of refugees already taken in. This might be the start of greater harmonisation in EU asylum policy. Mr de Maizière has proposed establishing centres in north Africa to review asylum applications at the source—another policy that can be presented as tough or generous, depending on the audience. Having a base beyond your shores at which to do such things has been tried by others: America lands refugees from Haiti and elsewhere at its Guantánamo Bay base on Cuba; Australia takes them to the island-state of Nauru and to Manus island in Papua New Guinea, never letting them onto its own soil. Australia has diverted hundreds of boats in recent years; only one has even entered its territorial waters since the end of 2013. But the tough policy has come at a great cost to the country’s reputation (see article). Besides, Europe lacks a convenient island nation open to aid-for-boat-people inducements. And its law adds protections for refugees beyond those that American and Australian lawyers claim to see in the 1951 UN convention. In 2012 the European Court of Human Rights ruled that boat people must be given a fair chance to apply for asylum and may not automatically be sent back even if rescued in international waters. A processing centre in north Africa might deal both with migrants reaching it over land and with those saved from the seas, should it meet the court’s criteria. It would, though, require a stable regime to host it, and might very easily become a target for terrorism. And it—or they—would attract vast numbers of migrants from elsewhere in Africa. In the case of the last great maritime refugee crisis, that of the Vietnamese boat people, it took concerted measures by many countries to get to grips with the problem. More than 1m people were resettled around the world; merchant ships were compensated for their rescue efforts; eventually deals were struck with Vietnam for the orderly departure of refugees and the repatriation of the undeserving. For the world to help Europe in such an effort when Europe has, so far, shown no real ambition in sorting out the issue itself, though, would seem far-fetched. And in the long run migration north to Europe will never just be a matter of refugees. Though chaos and civil war are hardly likely to leave the Arab world soon, chronic underdevelopment and accompanying political instability in parts of sub-Saharan Africa look set to last even longer. And the population there is expected to double over the next 30 years. There will be a lot more young men like Mr Boubacar. There are many worse places to live than Bamako. It is a reasonably sophisticated city; Mali’s economy grew 7.2% last year. But Mr Boubacar wants out. “No matter how hard I work, I’m doomed. My father did not have a regular salary, I don’t, nor will my children.” No job lasts longer than a few months, no place in school is assured, no gain is safe from theft. Economic ANXIETY is mixed with fear of political violence. Half of Mali fell to Islamic extremists three years ago. A French-led intervention pushed them back, but no peace deal has been signed, and terror attacks remain common. And Mali is far from the only country in the region to be threatened by political instability—or, for that matter, by climate change, which could lay low economies and governments. The forces that move a man to economic migration today could make him a refugee tomorrow.